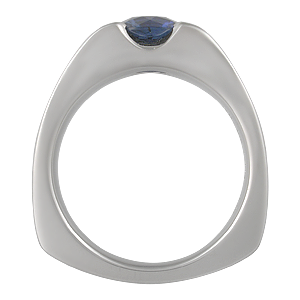 Customize the shape of your ring profile. Our standard profile (second from the left) is gently rounded. We offer computer renderings with different views, including the finger hole profile, for new designs!